The Andalusian Minister of Culture, Miguel Ángel Vázquez, today highlighted the value of athenaeums as elements of dissemination of culture and dialogue, since in today's society "we need less shouting and more dialogue". 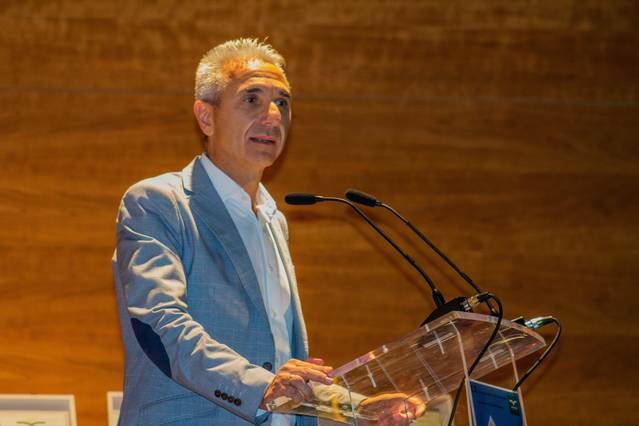 During his participation in the IX Meeting of Athenaeums of Andalusia, which was held in Dos Hermanas (Seville), on Saturday October 6, Vazquez has appealed to those responsible for the athenaeum to continue favoring "freedom, reflection, debate , thinking and culture. " He stressed that these are "spaces for dialogue chaired by culture from the point of view and not from the cry", at a time when "we need less shouting and more dialogue". Vazquez has also highlighted that the work of ten years of work by the ateneistas has been embodied in a magazine presented at the meeting of Dos Hermanas, which is called 'United for culture', which has been considered "a good way to make a team through culture "
The meeting is organized by the Athenian Federation of Andalusia, to promote dialogue, cooperation and mutual aid between these organizations, whose aims are primarily cultural. In the act has insisted on the need to join efforts to achieve and expand objectives, as well as strengthen the cultural work carried out with citizens, continue to raise awareness and disseminate the arts, literature and science and work in defense the historical heritage of Andalusia.